Tadaaki Otaka, Honorary Music Director, will open our new fiscal year. He has selected two variations, Brahms’ Haydn and Elgar’s Enigma to answer the inquest. From Enigma, which has a meaning of mystery, you may find music of Beethoven or Mendelssohn. A sweet Mozart Piano Concerto No. 22 will be played between these two works. The pianist is Ms. Anne Queffélec from France, who joins us for the first time. Not only her French music but also her Mozart is highly regarded worldwide and her elegance and vivid performance cannot be missed. Not only regularly guest conducting the major orchestras in Japan, Mo. Otaka has been visiting worldwide including London Symphony and Berlin Radio Symphony Orchestra. 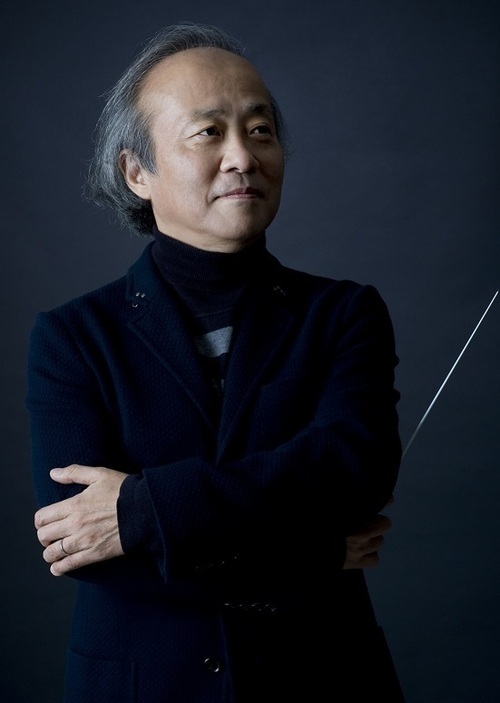 For the Sapporo Symphony Orchestra, he was the Chief Conductor (1981-1986), Music Advisor/Principal Conductor (1998-) and Music Director (2004-) and made a distinguish career for total of 22 years. 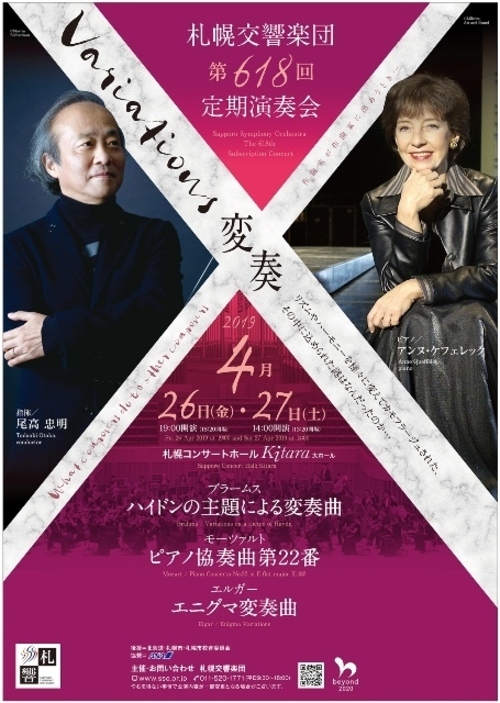 Since April 2015, he is the Honorary Music Director of the Sapporo Symphony Orchestra. In 1991, he received the 23rd Suntory Music Award, and in 1993, the Welsh College of Music and Drama conferred an Honorary Fellowship, and an Honorary Doctorate from the University of Wales. In 1997, he was awarded the CBE from Her Majesty Queen Elizabeth, and in 1999, he was the first Japanese ever to receive the Elgar Medal. From Hokkaido, where Sapporo is situated, Mo. Otaka has received the Hokkaido Culture Award in 2014. 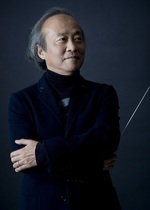 Currently, he is Music Director of the Osaka Symphony Orchestra, Permanent Conductor of the NHK Symphony Orchestra, Tokyo, Conductor Laureate of the BBC National Orchestra of Wales and the Tokyo Philharmonic Orchestra, Honorary Guest Conductor of the Yomiuri Nippon Symphony Orchestra, and Honorary Conductor Laureate of the Kioi Hall Chamber Orchestra. He is also honorary professor of the Tokyo University of the Arts, visiting professor of the Soai University and the Kyoto City University of Arts, and guest professor of the Kunitachi College of Music. 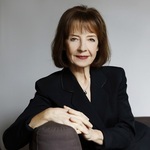 The French pianist, Anne Queffélec, received her initial training at the Paris Conservatoire and pursued studies with Alfred Brendel, Jörg Demus, and Paul Badura-Skoda in Vienna. She captured 1st prize at the Munich International Competition in 1968 and 5th prize at the Leeds International Competition in 1969. A year after she made her debut in Vienna followed by Paris, and since then, she appeared as a soloist on the stage of major venues worldwide. Queffélec has been invited to be with the prominent orchestras including London Symphony Orchestra, London Philharmonic Orchestra, Tonhalle de Zürich, Lausanne, Tokyo NHK Orchestra, Hong-Kong Philharmonic, Orchestre National and Orchestre Philharmonique de Radio France, under the baton of conductors as Pierre Boulez, John Eliot Gardiner, Jordan, Stanislaw Skrowaczewski, Casadesus, Lombard, Guschlbauer, and Carlo Zecchi. She is also invited to participate in music festival not only in France but to BBC Proms, and La Folle Journée au JAPON. Her recording “Satie & compagnie” has won the Diapason d’Or and in 2017, her most recent CD “Entrez Dans La Danse” was released. Her performance with Sir Neville Marriner in the film “Amadeus” has gained much attention.